Below are two tables which list Matrons from the commencement of the DDBI up to World War 1. One table is sorted by date of appointment the second by the age of the Matron at the time of her appointment. In the nineteenth century, women were commonly referred to as Miss or Mrs, as the case might be, and their Christian or given name was rarely used. This practice has tended to make researching such women rather difficult and was implemented in the reports of the DDBI. Nevertheless, apart from the first three Matrons, their names have been able to be discovered and the second half of the table lists them by age on appointment. The successful and long-serving Matrons had two things in common: they were all younger appointments and were married with children of their own. The role of Matron was to be marked by instability in the first few years of the DDBI. Nothing is known of Miss Mitchell and Miss Smith, the first Matrons who served for less than a year. Miss Mitchell was appointed around August 1862 on £25 per annum with board and lodging and she resigned in November of that year. The position was advertised and Miss Smith was appointed Matron in December in preference to Mrs Cole who, while supported by the Committee members Lentz and Wilson, did not have the necessary majority. This may well be the first indication of tensions with the Lentz family which would eventually contribute to the resignation of Thomas Pattison. Smith resigned before the end of the month and Mrs Cole was appointed. There was clearly tension over the role and authority of the Matron and that of the teachers which contributed to instability in the organisation. At this time, an anonymous letter of complaint about the Matron was received by the LVC. Children were questioned by the Committee with an interpreter present and the result of the interview was that the children were instructed ‘to obey Matron in everything’. It appears that Miss Edith Lentz, an assistant teacher, and Thomas Pattison, the Master in Charge, were also present during this interview. They informed the Committee that as a result of the interview ‘It was their intention to leave the school in consequence of feeling themselves degraded in the eyes of the Matron, by the manner in which the examination of the children had been carried on’. The Committee thought the issue had been smoothed over and the matter dropped, but perhaps this was a belief of hope rather than fact for neither Lentz nor Pattison were satisfied. Pattison was clearly unhappy with the work and role of Mrs Cole the Matron. Pattison had previously indicated to the Committee that he was soon to marry and proposed, probably in part to rid himself of the difficult relationship with Mrs Cole, that the soon to be Mrs Pattison be made Matron. The Committee, who had their own issues with Mrs Cole, saw this as a solution to its problems and dismissed Mrs Cole, appointed Mrs Martha Pattison as Matron, and agreed to have Thomas as the sole teacher. The outcome was that from this point on, Mr and Mrs Pattison had sole charge of the management of the DDBI. It soon became apparent that Martha Pattison was a poor manager of the domestic side of the DDBI and, after six months of frequent complaints by the LVC, she was directly asked if, in the light of her experience, she ‘was competent to manage the institution’. The Gentleman’s Committee was not happy with Mrs Pattison, and later that year the Pattisons were relieved of their positions as Master in Charge and Matron, and only Thomas only was re-engaged as a teacher on a 9am to 4pm basis. This continued until early 1866 when, in view of further complaints about him, his services were no longer required by the Committee. Martha Ward Ravenhill (1821-1887) was appointed Matron in October 1864 on £50 per annum and brought some 5 years of stability to the role of Matron; she had previously worked in the Randwick Asylum. Miss Ravenhill was ‘most highly spoken of’ in her role at the DDBI but, in view of what was later to take place, this assessment may well reflect the fact that the children did not have a voice to articulate their view of her. For it was also reported that ‘we have heard of solitary confinement, with bread and water for three days at a time, having been inflicted by the matron’ which even by nineteenth-century standards was deemed to ‘seem harsh, indeed’ and probably inappropriate for deaf children, but also it was conceded that ‘it was probably necessary’. By modern values it would be found impossible to imagine that such a disciplining of a deaf child or any child in such a way would be appropriate or tolerated. In 1867 Ravenhill left the DDBI and May 1868, became a house matron under Mrs Agnus King, the Matron of the Newcastle Industrial School for Girls at a higher salary of £75 per annum. She only remained there until 31 August 1868, but in her short time there she was a polarising figure, unlike during her time at DDBI. Statements made by staff and inmates of the Industrial School indicated that Martha’s appointment as a house matron greatly unsettled the inmates who described her as unkind. She featured in every statement made at the internal inquiry into the riot on 9 July 1868 and a considerable number of objections to her poor treatment of the girls were recorded. In April 1868, an advertisement appeared in the Sydney newspapers for a Matron for the New South Wales Deaf and Dumb Institution (DDBI). 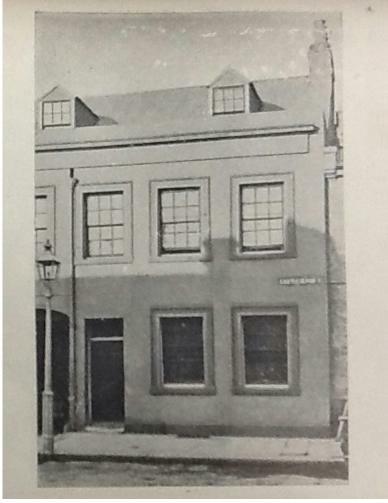 The DDBI had commenced as an organisation in 1862 and used a building in Pitt Street South, but these premises soon became inadequate. 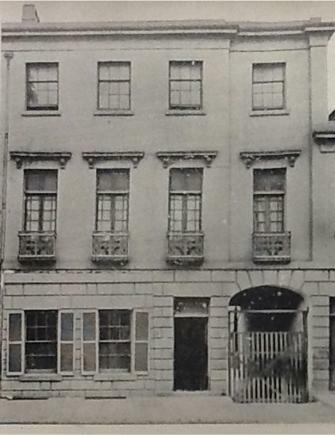 New premises had been secured in Paddington at Ormonde House and there were in residence some 20 boys and girls. The master in charge was Sherrington Gilder and the newly appointed resident matron was Mrs Ashton who was appointed in May 1868 on the casting vote of the Chairman, Rev George King. As Matron she must have been very busy for only one female servant was employed to assist her at this time. The matron, Mrs Ashton, exercises a very mild, but effectual discipline over the entire school, and the obedience, the good order, and the gentle disposition of the pupils evince very clearly how much more potent are love and kindness, as elements of discipline, than fear and coercion. In 1873, she was called to give evidence to the Parliamentary enquiry into charitable organisations. 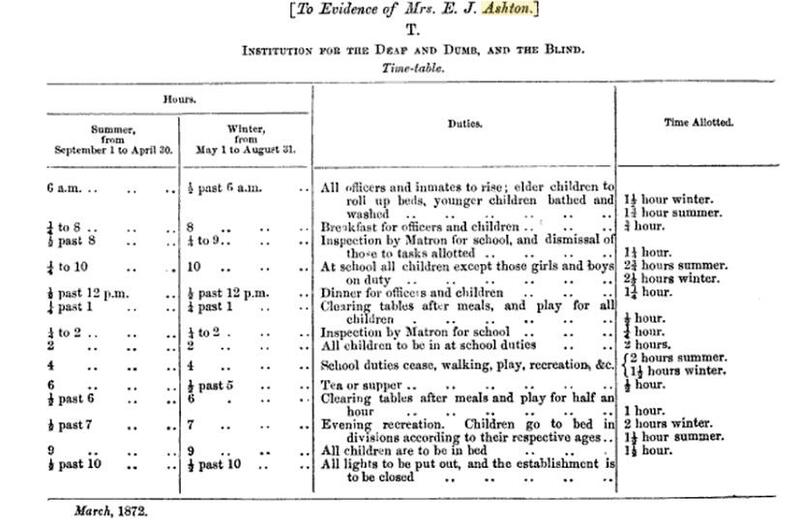 In this evidence a timetable for a day’s activities was given by Mrs Ashton which helps in understanding how busy she must have been as Matron. Mrs Ashton resigned her position in 1885 and the Committee had considerable difficulty finding a replacement. The problems of instability in those things connected with the Matron, which had characterised the DDBI before Mrs Ashton’s appointment, would return upon her leaving the role. In all the laudatory reports the Matron is always referred to as Mrs Ashton so who was this successful Matron and how did she come to be Matron? Mrs Ashton was Eliza Jane Ashton nee Tookey (1835-1889), the daughter of Charles Tookey (1796- 1882) and his wife Elizabeth Cameron (1798-1870). She was born in Wolverton, Worcestershire, England, in 1835 and baptised 11 January 1835 at Oddingley, Worcestershire, where her father was the Rector. Charles was an educated man matriculating to Oxford in 1814 and graduating BA in 1822 and MA from Oxford at Magdalen College in April 1825. He received the preferment to Oddingley, Worcestershire, in 1824 and married in 1826. The population of Oddingley was 157 at the time and the living was worth £173. In 1841, Charles was appointed to Upton, Snodsbury, initially as assistant to the incumbent and then upon the incumbent’s death in 1841 to the Vicarage. This appears to be an additional living to that at Oddingley where he remained until 1852 after which he retired to Edgbaston. Charles and his wife had a large family and Elizabeth gave birth to 13 children between 1827 and 1842. Eliza was the fourth surviving daughter with three younger sisters and one older and two younger brothers. Eliza was clearly used to a large and busy household with lots of children, an experience that would serve her well in her future role as Matron. On June 7, 1859, and aged 24, Eliza married 38-year-old John Henry Ashton, a farmer. She gave birth to a daughter Lucy who was baptised on October 7, 1859; clearly this was a marriage of social necessity as Eliza would have been at least four months pregnant at the time of the marriage. By 1861 and aged 40, John was retired and living with Eliza and Lucy in Ashwell, Hertfordshire, which was 100 miles away from where Eliza had resided but not far from where John had lived when they married. John did not appear to be particularly wealthy and had retired by the time he was 40 which suggests that he was unwell. This appears to be the case for he died around late 1861 early 1862, and Eliza found herself a widow with a very young child. that the Society’s noble and philanthropic vision was flawed, in the sense that it created a roadmap for failure and distress among women who did not adapt to their changed circumstances. Measurements of success are complex, but overall, it will be shown that not enough women were successful to validate the Society’s vision, as far as the Australian contingent of emigrants were concerned. In terms of success the Tookey sisters, Emily, Louisa, Eliza and Lucy, are examples of both the failure and success of the scheme. Eliza was successful, Emily and Louisa were partially successful, and Lucy was a failure for she soon returned to England. The result of the advertisements is unknown, but somehow the Tookey sisters survived in the colony. Lucy left in 1864, probably as a governess accompanying a family to England, but her three sisters remained. The FMCES records the activities of emigrants number 25 to 28 to Australia in 1862 and shows them as being three sisters, one of whom ‘obtained a situation’ and two of whom opened a school but nothing was recorded about the fourth sister. These were undoubtedly the Tookey sisters. Where the sisters were until Eliza is successful in being appointed Matron of the DDBI in Sydney in April 1868 is unclear. Prior to this appointment, Eliza and one sister were possibly employed at the Randwick Destitute Children’s Asylum. Of the two remaining unmarried Tookey sisters, Emily was a nurse at the Sydney Infirmary from April 1871,and Louisa was an assistant matron at the DDBI in 1872 and 1873, returning home to England in 1874. By 1881, Emily had also returned to England and both Louisa and Emily were recorded as living with their brother and elderly father at Oddingley. Eliza alone remained in Australia. 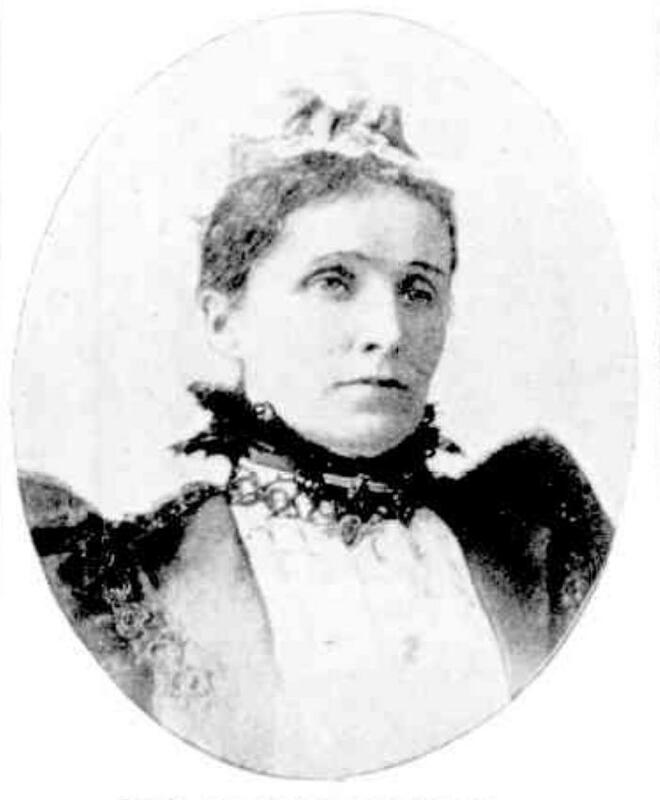 She did not get to enjoy family life for long as she died on January 9, 1889, and Samuel Watson, the Superintendent of the DDBI, was one of the administrators of her estate. Charlotte Rainbird (1838-1906)  arrived in Sydney via Melbourne from England on March 2, 1874. She was 36 years old and appears to have been orphaned at an early age and raised by her grandparents. Prior to leaving England her position had been as housekeeper at the Broadlands Mansion, Romsey, and from June 1878 to June 1882 she was the housekeeper for James Thorne, a Commission Agent, at his Observatory Villa, North Shore, NSW. Unfortunately, he became insolvent and Charlotte was left with no employment and was owed 12 months’ salary. 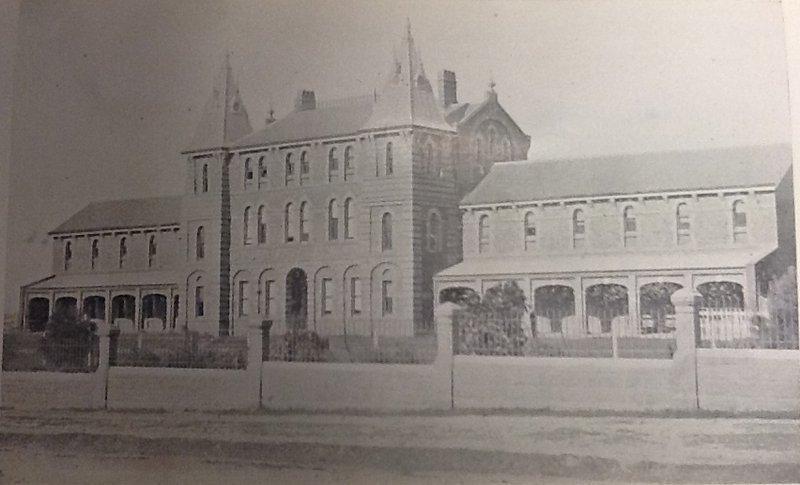 Her next position was as Matron of the Randwick Asylum where she remained from 1882 until 1885. When the position of Matron at DDBI became vacant the influential LVC could not decide the better of two applicants they had received and made no recommendation, leaving the decision to the Gentlemen. Miss Rainbird was chosen and she became Matron in March 1885; but her time at the DDBI was short as she concluded her service within two months on the 1st of May. She was clearly unsuited to the position and after her resignation, she took over the Miss Foster’s Governesses Registry which sought to supply ‘Finishing Governess and Lady Housekeeper awaiting Engagement’ to those seeking such assistance. Upon Miss Rainbird’s resignation, the Gentlemen’s Committee requested the LVC to receive applications for the position of a replacement Matron and to select from among them three applications and forward them to the Gentlemen’s Committee; the salary was to be £100 per annum. There were only two candidates put forward as a replacement for Miss Rainbird: Miss Titchmarsh (aged 39)  and Miss Hugette (aged 44). Miss Harriet Titchmarsh (1845-1929) was the successful applicant and was appointed in June 1885. She had arrived in Australia in October 1883 from England on the Ellora as Matron supervising the young female immigrants on the voyage. Sixteen days later, she boarded the John Elder and returned to England, returning again in March 1884 as the Matron on a Government assisted immigration ship the Warwick, but this time she remained in NSW. Shortly after her appointment at the DDBI troubles arose. The children were unruly and a stabbing took place and Samuel Watson, the Superintendent of the DDBI, indicated that he regarded the Matron as incapable of maintaining discipline. The LVC was requested to investigate and as a result Mrs Goodlet stated to the Committee that ‘the conduct of the children had been very bad & that Miss Titchmarsh appeared to be wanting in sympathy for them & incapable of managing them & that she suggested that in the event of Miss Titchmarsh leaving Miss Hugette be appointed on trial.’ Miss Titchmarsh described her position as a ‘very unpleasant one’ and resigned in August 1885. Miss Hugette was probably Marion Anita E Hugette (1839-1900) who arrived in the colony of Qld in 1871 when she was 30 years old. After her arrival, and perhaps indicative of her degree of social standing and relative affluence, she travelled by Saloon class to all the eastern colonies in Australia and was eventually appointed Matron of the newly opened Adelaide Convalescent Hospital in July 1875. At this time she was described as ‘an experienced matron’ and later as ‘efficient and interested in her work, but resigned the position in November of 1877 and remained resident in Adelaide. She moved to Sydney and by 1885 was probably working at the DDBI when she was initially unsuccessful in her application to replace Mrs Ashton. Upon the failure of the appointee Miss Titchmarsh, it was the recommendation of the LVC that Miss Hugette be appointed on trial and she began as Matron on August 31, 1885. She did not get on with the staff at the Institution and by November was asked to offer her resignation which she did,  resigning her position on November 30, 1885, and moving to Bowral where she involved herself in various community activities. The Committee was clearly aware of its recent failure to select a suitable Matron. This was also a frustration to Samuel Watson, the Superintendent of the DDBI, who had decided to give the Committee a hint by an entry in his journal which was read at each meeting of the Committee. The entry made a point of ‘expressing his great satisfaction at the admirable and efficient manner in which the work of the Instn was carried out by Miss Graham,’ who was the Assistant Matron at the time. This led to a long discussion on the selection of a replacement Matron in which it was said by one member that Mrs MacLeod, the proposed appointee ‘was a most excellent woman, but that in his opinion she was no better fitted for the matron of this Instn than either Miss Rainbird, Miss Titchmarsh or Miss Hugette.’ Further, the Committee thought ‘that as Miss Graham was doing so well it would be a great pity to make, a change’. The Committee did not proceed to appoint Miss Graham because they wanted to consider the matter further which really meant they wanted to consult the LVC and get their opinion; and this is what they did. The LVC recommend Mrs MacLeod and the Committee decided to appoint her on their recommendation. Mrs MacLeod was Jessie MacLeod neé Carmichael (1851-1921) who was born in Campbelltown, NSW, and who had married Donald Alexander MacLeod in February 1873. The couple had three children, Alexandrina Flora (b. 1874 at Murrurundi, NSW), Mary Frederika (b. 1875 Elizabeth Street, Sydney) and Donald Alexander (b. 1877 at Woollahra). Nothing of significance is known of her family background, but for Jessie to be in full-time employment with a young family (the children were aged 12, 11 and 9) would seem to indicate that either her husband was dead, unwell or not providing much in the way of income. Jessie became Matron in 1886 and retired in 1906 after 20 years of service. On behalf of the LVC, Lady Renwick presented her with a purse of sovereigns as a token of their appreciation of her services. Her time as Matron, like that of Eliza Ashton, provided the DDBI with stability and continuity. Hannah Caroline Henson (1865-1954) was appointed to the position of Matron at the DDBI in January 1907. She came to the DDBI with high qualifications and the Committee was in ‘no doubt she would prove a worthy successor to the one whom they were deeply sorry to lose.’ Highly qualified she was, but she would not prove to be a worthy successor. She had previously served as Matron of the Western Suburbs Cottage Hospital, being appointed as the first Matron after the hospital was opened by Governor Sir Robert Duff on 14 August 1894. The hospital was not a large one. Matron Henson, for example, reported to the hospital committee’s monthly meeting in November 1901 that during the month 8 patients had been admitted and treated, 7 treated as outdoor patients (sic), 5 discharged, and that 10 remained in the hospital. At the DDBI, it soon became apparent that Miss Henson did not get on with Miss Graham, the long-time assistant Matron. The Committee concluded that the partnership would not work and ‘in the interests of good order and discipline in the Institution’ that in spite of its previous satisfaction with Miss Graham her engagement would be terminated. A new Assistant Matron, Miss Agnes Aubrey, was appointed and it soon became apparent that the Committee may have discharged the wrong person. The new Assistant Matron also complained about the Matron and Henson offered her resignation which was accepted effective July 1907; she had remained at the DDBI for less than a year. Aubrey’s service must have been deemed satisfactory for on the expiry of her probation as assistant she was appointed permanently as Assistant Matron. After Henson was discharged the Committee decided to change its rules so that it only be required to give and receive one month’s notice instead of three. Mary Elizabeth Clarke neé Jones (1872-1938) was born in India around 1872 to Theophilus Paul Howard Jones and his wife Maria Elizabeth Smith. The family arrived in Hobart in 1877 where the family began to live a difficult life as Theophilus sought to provide for his wife and ten children. They settled in Beaconsfield and he worked as an AMP agent and journalist. The eldest child of the family was Mary or Polly as she was known, and through the efforts of her father persuading a wealthy gentleman known as Philosopher Smith to go surety, she secured the post of Post Mistress and Telegraph operator at Henty (Tasmania). In 1892, Polly was transferred to nearby Dundas Junction while her sister took over at Henty. She married Herbert Frederick Clarke, a telegraph operator and later a railway porter and a ticket collector in Strachan, Tasmania, in May 1893. Shortly afterwards the ‘newly married, pregnant Polly embezzled £33 … she implied that she stole the money in order to eat, and that she intended to repay it when her husband received his next pay cheque.’ Her father was able to persuade the guarantors not to prosecute Polly. Mary had two sons, Thomas Henry Denton Clarke who was killed in WW1 in Belgium, and George Herbert Clarke who attended Sydney University, was a tutor at St Andrews College, graduated in Science and became a botanist. They were 14 and 12 years of age respectively when Mary began to work at the DDBI. It is possible that Mary worked as a nurse who had been previously been employed at the Hospital for the Insane at Parramatta. In 1904, G E Ardill of the Home of Hope, Stanley Street Newtown, a charity for unmarried mothers, advertised for an ‘earnest Christian Woman, as Matron’, she ‘must be a good laundress, able to instruct.’ By the end of 1904, Mary was the new appointment. Where her husband Herbert was at this time is unknown and was also unknown to Mary. He had obviously not been heard of for some time as Mary took the step of informing the police that he was ‘last heard of from Harden, on his way to Germantown works as arouse-about on station’. 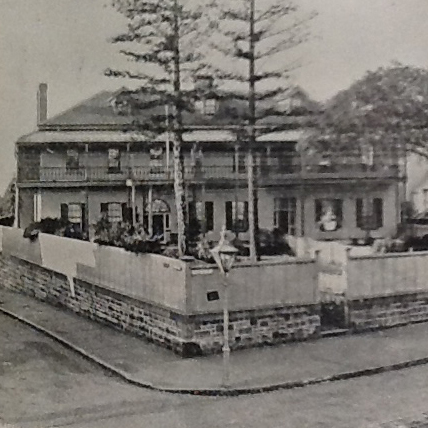 Mary did not remain at the Home of Hope for in August 1907, she was one of four interviewed by a DDBI subcommittee made up of four Committee members and four members of the LVC. She was recommended and subsequently appointed to the position of Matron ‘for three months on probation, one month’s notice on either side to terminate the engagement, and her laundry work to be done outside the Institution.’ Thus began a long career of service by the 35-year-old Clarke to the DDBI, a position she held until September 1922. After 15 years’ service, the Committee in its annual report stated simply that Mrs Clark ‘had proved herself to be very capable and efficient, and it was with much regret that her resignation was accepted.’ Mary moved to Austinmer where she ran a holiday cottage until 1926 and in that year her son George married Zelda Jane Kerrigan, a former employee of the DDBI. At some stage, Mary moved to Adelaide to be with George and his family and she died there in 1938. In 1912, in its jubilee year to celebrate 50 years, the DDBI issued an extended report listing in tables the membership and length of service of the Gentlemen’s and the Ladies’ Committee, the Auditors and the Masters in Charge since the DDBI’s inception. There was no list of Matrons which seems to indicate that the importance of their role had been overlooked and taken for granted. The omission was perhaps symptomatic of the underappreciation of the role, a role that was infrequently mentioned in the DDBI annual meetings and reports. The Matron was, however, an essential figure in the smooth and effective operation of the DDBI and when the Matron was unable to relate suitably to the children and staff there were significant difficulties within the DDBI. The job of the Matron was clearly a challenging one and required not just domestic organisational skills on her part, but an empathetic understanding of the issues faced by deaf and blind children and of the staff who had to interact with the children. That there were, at the commencement of the DDBI, initial difficulties in finding the right kind of person and that these difficulties surfaced again when a long-serving, successful Matron had to be replaced, repeatedly underlined the challenging nature of the job. Some candidates had held positions as Matron in other institutions, but this did not equip them to cope with the challenges of the DDBI. 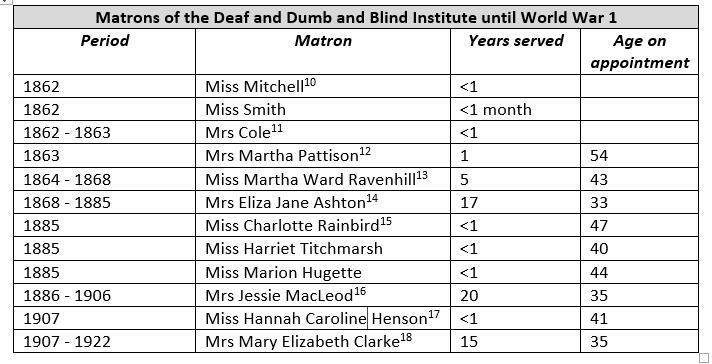 From the point of view of the Committee, the task of selecting a matron was made difficult because candidates did not possess the sort of prior experience, most particularly experience with deaf and blind children, which would make them confident that they would become a suitable matron. At the time, the Gentleman’s Committee and Ladies Visiting Committee did not appear to have realised that the younger the matron at the time of her appointment, her being married and having children of her own, meant she was more likely to succeed. The older matrons seemed to have difficulty adjusting to the position. The role of the Matron of the DDBI, though often overlooked, was clearly crucial to the success of the DDBI. The current name of this organisation is the Royal Institute for Deaf and Blind Children (RIDBC) and this more appropriate name has evolved over time. The organisation in 1862 was called the Deaf and Dumb Institution and in 1869 it became the Deaf and Dumb and Blind Institution. In 1954 the Queen conferred the title Royal upon the Institution and the name was changed to The Royal New South Wales Institution for Deaf and Blind Children with the word ‘dumb’ being deleted. In 1973 there was a further name change with “Institution” being replaced by “Institute” thus gaining its present name the Royal Institute for Deaf and Blind Children. The abbreviation DDBI will be used in this article. The Gentleman’s Committee was often just referred to as the Committee. In this paper the term Committee will be used. Sydney Morning Herald (SMH), October 21, 1862, 13. Sixth Annual Report of the Deaf and Dumb Institution, 1867, 23-24. Eleventh Annual Report of the Deaf and Dumb Institution, 1872, 48. SMH, October 29, 1866, 3. For the Goodlet’s role at the IDDB see Paul F Cooper More Valuable than Gold, the philanthropy of John and Ann Goodlet (Sydney: Eider Press, 2015), 104-110. DDBI Minutes, August 19, 1885; April 19, 1886. DDBI Minutes, November 14, 1892. Empire (Sydney, NSW), August 7, 1862, 1. DDBI Minutes November 3, 1862. Empire (Sydney, NSW), November 29, 1862, 5. DDBI Minutes, September 14, 1863. DDBI Minutes, September 15, 1863. He married Martha Moon (nee Allen) 1806-1881, her four children were all adults by the time of her marriage to Thomas November 24, 1863. SMH, December 21, 1863. She had been widowed for 6 years as her husband died in 1857. SMH, October 13, 1857. DDBI Minutes, December 14, 1863. DDBI Minutes, June 14, 1863. DDBI Minutes, October 4, 1864. DDBI Minutes, February 6, 1866. She married John Heritage in 1871 (Empire (Sydney, NSW), August 9, 1871, 1. ); died in 1887 at 65 years of age but she was actually born in 5 January 1821. The Sydney Mail and New South Wales Advertiser (Sydney, NSW), March 12, 1887, 569. She arrived in Port Phillip on the Sir Charles Napier on 26 Feb 1858. Sands Directory 1867, 354. Miss M Ravenhill Matron of Deaf and Dumb Institution. Empire (Sydney, NSW), October 4, 1864, 1. SMH, October 29, 1866, 3. It should, however, be noted that the Miss Ravenhill there was listed as Sarah Ravenhill in 1864 Sands, 350. Sydney Mail (Sydney, NSW), October 27, 1866, 3. The Newcastle Chronicle (Newcastle, NSW), May 30, 1868, 3. NSW Blue Book, NSW Public Service Lists, 1968, 22. Empire (Sydney, NSW), April 17, 1868, 1. DDBI Minutes, May 1, 1868. Sydney Mail (Sydney, NSW), December 19, 1868, 11. SMH, October 12, 1869, 5. Evening News (Sydney, NSW), October 25, 1870, 4. The Maitland Mercury and Hunter River General Advertiser (Maitland, NSW), November 9, 1871, 2. SMH, December 19, 1881, 3. Australian Town and Country Journal (Sydney, NSW), August 14, 1880, 24. 29 September 1873. Her testimony was not recorded but the timetable was reproduced in the report. SMH, October 27, 1885, 7. The Clerical Guide and Ecclesiastical Directory, (London: JG & F Rivington, 1836), 153. Worcestershire Chronicle (Worcestershire, England), 29 September 1841. Directory of Birmingham (Birmingham: WH Dix & Co,, 1858), 296. Birmingham, England, Church of England Marriages and Banns, 1754-1937 for Eliza Jane Tookey, Edgbaston, St Bartholomew 1858-1859. The Courier (Brisbane, Qld. ), December 2, 1862, 2; November 4, 1862, 3. The names the ‘Misses Tookey’ appear in the first report of Maria S Rye’s Middle Class Female Emigration Scheme (page 15) having paid £30. For an informative account of the society see K. Matthew, “The female middle class emigration society governesses in Australia: a failed vision?” Journal of Australian Colonial History, 2012, 14, 107-130. Matthew, “The female middle class emigration society,” 108. Lucy left Queensland for London on April 5, 1864 some 17 months after her arrival. That she returned ‘Saloon class’ would suggest she may have been travelling with ‘Mrs Wilson and two children’ as a governess. The Courier (Brisbane, Qld), April 6, 1864, 2. The Courier (Brisbane, Qld), December 12, 1862, 3. Female Middle Class Emigration Society [1862-1871], List of Emigrants. They contributed to the Prince Alfred Hospital Fund and their contribution was collected by Mr E M’Roberts at the Randwick Destitute Children’s Asylum. SMH, May 19, 1868, 6. 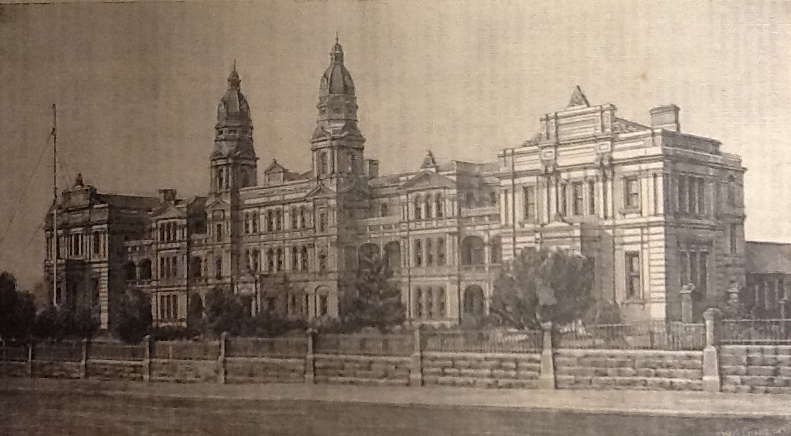 Nurse Emily Tookey of the Sydney Infirmary was examined on 11 June 1873. She said she had been at the Infirmary for 2 years and 5 months. She therefore commenced employment at the Infirmary April 1871. Public Charities Commission, Second Report, NSW Legislative Assembly, Vol 6, 232. A listing of shares in of 8 shares each at £1 in “The Amalgamated Golden Gully Quartz Mining Company” for Louisa Eliza Toohey and Eliza Jane Ashton of the DDI gives her name. New South Wales Government Gazette (Sydney, NSW), October 11, 1872 [Issue No.269], 2623. The Sydney Mail and New South Wales Advertiser (Sydney, NSW), December 27, 1873, 824. 1881 England Census Louisa and Emily Tookey. SMH, March 14, 1885, 12. This is also confirmed by a question to the Board by Ashton asking to remain at the Institute until March 14, 1885. DDBI Minutes, February 20, 1885. DDBI Minutes, August 10, 1855. Charlotte, aged 36, arrived in Melbourne on February 23, 1874 on the Yorkshire (The Age (Melbourne, Vic. ), February 24, 1874, 2) and came to Sydney on the Wentworth arriving on March 2, 1874, Empire (Sydney, NSW), March 3, 1874, 2, and passenger list. In 1887 Charlotte Rainbird married John Livingstone M’Callum SMH, Sat 27 Aug 1887, 1; moved to Western Australia The Daily News (Perth, WA), August 10, 1889, 3 and died there in 1906. She is missing from the 1906 electoral role having been recorded in the 1903 roll. In 1888 by a court action Mrs John L M’Callum was seeking unpaid wages from James Thorne as his house keeper. The Daily Telegraph (Sydney, NSW), February 4, 1888, 3; in the original insolvency proceeding his housekeeper is listed as C. Rainbird. Australian Town and Country Journal (Sydney, NSW), July 6, 1878, 12; July 6, 1878, 12. The Herald (Melbourne, Vic), September 21, 1882, 3; Evening News (Sydney, NSW), March 5, 1885, 7; SMH, May 2, 1885, 20. DDBI Minutes, February 20, 1885. DDBI Minutes, April 30, 1885; May 11, 1885. SMH, May 23, 1885, 24. DDBI Minutes, April 30, 1885. DDBI Minutes, June 8, 1885. SMH, April 30, 1929, 10. NSW Unassisted Immigrant Passenger List Harriet Titchmarsh; The Sydney Mail and New South Wales Advertiser (Sydney, NSW), November 3, 1883, 853. Assisted Immigration Passenger Lists 1828-1896, NSW State Records. Harriet Titchmarsh, Matron, Warwick arriving 12 March 1884. DDBI Minutes, August 10, 1885. DDBI Minutes, August 19, 1885. Harriot Alice Titchmarsh was the daughter of Mynott and Harriot and was baptised 4 April 1845, Saint Michaels, Bishops Stortford, Hertford, England. By the age of 12 she had lost both parents and was living with her maternal grandmother. 1861 Census for England. Bowral Free Press and Berrima District Intelligencer (Bowral, NSW), July 4, 1900, 2. Queensland Immigration Indexes – Assisted Immigration 1848-1912 on the Star Queen. She arrived in Sydney from Brisbane on Lady Bowen May 3 1871, Evening News (Sydney, NSW), May 3, 1871, 2 ; Hobart from Melbourne on Southern Cross on August 3, 1871, The Age (Melbourne, Vic), August 4, 1871, 2; Adelaide from Hobart on Isle of France on June 9, 1874, Evening Journal (Adelaide, SA), June 10, 1874, 2. Adelaide Observer (Adelaide, SA), July 17, 1875, 10. Evening Journal (Adelaide, SA), July 27, 1877, 2. Evening Journal (Adelaide, SA), November 13, 1877, 2. South Australian Almanac and Directory 1883, 84. Miss M A Hugette, Melbourne Street Adelaide. She arrived on December 3, 1884 on Whampoa. Evening News (Sydney, NSW), December 4, 1884, 4. DDBI Minutes, September 11, 1885. DDBI Minutes, November 18, 1885. DDBI Minutes, December 14, 1885. Bowral Free Press and Berrima District Intelligencer (Bowral, NSW), July 4, 1900, 2. DDBI Minutes, March 8, 1886. The Sydney Mail and New South Wales Advertiser (Sydney, NSW), March 8, 1873, 318. DDBI Minutes, April 19, 1886. DDBI Minutes, April 9, 1906 where she informed the Board she intended to retire at the end of the year. SMH, December 3, 1906, 6. DDBI Minutes, November 29, 1906. SMH, December 15, 1906, 10. DDBI Minutes, April 15, 1907. DDBI Minutes, July 29, 1907. The Australian Star (Sydney, NSW), December 3, 1906, 4. DDBI Minutes, August 19, 1907; Daily Telegraph (Sydney, NSW), May 15, 1907, 6. Her death notice Chronicle (Adelaide, SA), October 6, 1938, 28 would give at date of 1871 but her marriage certificate a date of 1872. Nic Haygarth, ‘Theophilus Jones: Tasmania thorough Anglo-Indian Eyes in the 1880s and 1890s’, Launceston Historical Society P & P, 2011, 51-74. Ronald E. Smith, ‘Smith, James (Philosopher) (1827–1897)’, Australian Dictionary of Biography, National Centre of Biography, Australian National University, http://adb.anu.edu.au/biography/smith-james-philosopher-4605/text7575, published first in hardcopy 1976, accessed online 31 March 2018. Herbert Fredck Clarke, Spouse Name: Elizabeth Mary Jones, Marriage Date: 01 May 1893, Marriage Place: Tasmania, Registration Place: Strahan, Tasmania, Registration Year: 1893, Registration Number: 757. Ancestry.com. Australia, Birth Index, 1788-1922 [database on-line]. Provo, UT, USA: Ancestry.com Operations, Inc., 2010. Birth notice of Thomas Henry Denton Clarke. Tasmania Births 1803-1933 Tasmanian Archive & Heritage Office. Zeehan and Dundas Herald (Zeehan, Tas), May 1, 1896, 3; and the birth registration of Herbert Frederick George Clark 22 Sept 1895, Zeehan. Tasmania Births 1803-1933 Tasmanian Archive & Heritage Office. Thomas Henry Denton Clarke, Birth Date: 1 May 1893, Birth Place: Tasmania, Registration Year: 1893, Registration Place: Strahan, Tasmania, Australia, Father: Herbert Frederick Clarke, Mother: Mary Elizabeth Jones. Registration Number: 2677. Ancestry.com. Australia, Birth Index, 1788-1922 [database on-line]. Provo, UT, USA: Ancestry.com Operations, Inc., 2010. Herbert Fredck Geo Clarke, Birth Date: 22 Sep 1895, Birth Place: Tasmania, Registration Year: 1895, Registration Place: Zeehan, Tasmania, Australia, Father: Herbert Fredcx Clarke, Mother: Mary Elizabeth Jones, Registration Number: 3194. Ancestry.com. Australia, Birth Index, 1788-1922 [database on-line]. The Daily Telegraph (Sydney, NSW), June 7, 1918, 4. George Herbert Clark. The Daily Telegraph (Sydney, NSW), April 10, 1916, 7. SMH, March 3, 1904, 12. NSW Police Gazette, 16 November 1904, 456. DDBI Minutes, August 19, 1907. Evening News (Sydney, NSW), November 17, 1921, 2. In 1926 Miss Helen Price was Matron in charge of the children. SMH, November 24, 1926, 8; November 11, 1927, 5; The Grenfell Record and Lachlan District Advertiser (Grenfell, NSW), March 17, 1938, 1. She resigned in September 1922, Annual Report of DDBI, 1922, 5. Annual Report of the DDBI, 1922, 5. SMH, June 7, 1923, 8; September 30, 1925, 7. It was called Dunoon and was on the main south coast road overlooking the ocean. The Daily Telegraph (Sydney, NSW), October 10, 1925, 5. Her last advertisement was in May, 1926. SMH, May 5, 1926, 5. The Advertiser (Adelaide, SA), October 3, 1938, 12. By phinaucohi in Philanthropy on April 16, 2018 .